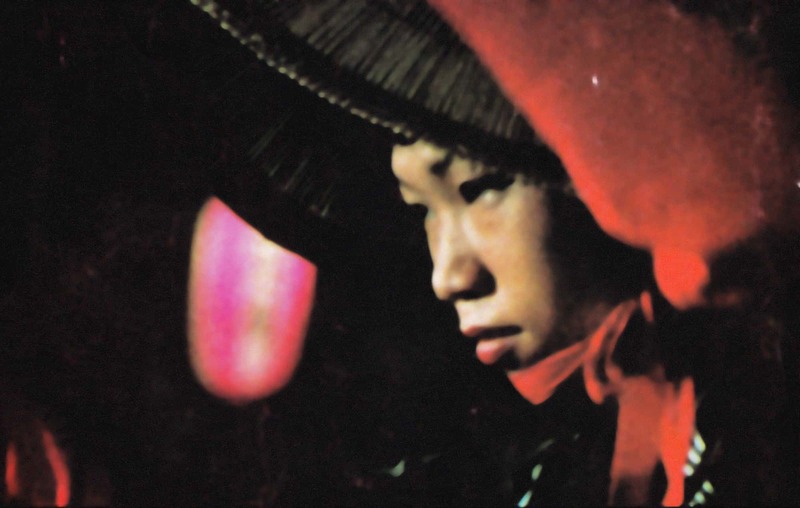 Chris Marker writes what is reproduced below in extreme modesty, given the depth of his film: its astute insights into Tarkovsky’s film language & signature motifs, its palpable emotional presence that embues the intimate family scenes, his empathetic camera and commentary. He is not an outsider here; he is family too in Tarkovsky’s largesse as Marker captures a home movie of the reunion of Andrei Arsenevich’s family after five years of implacable bureaucracy – and the nostalghia that forms the atmosphere of exile. We add after Marker’s text the summary of the film given by Icarus Films on their site. More material, more quotes will follow, in the minor-key, unsung tradition of bricolage. THREE SONGS ABOUT MOTHERLAND, the title of Marina Goldovskaya’s inspired wandering throughout her country, could have been used as a general title for this DVD. Each of us in his manner sings the paean or the doom of a place on Earth that defies any rational grasp. I had the easiest task. Entering Tarkovsky’s world carries you within a sumptuous chorale, a multivoiced fugue that encompasses all that’s Russian. Marina, since years, pursued a patient pilgrimage home, with her unique gift to mix with people and extract the best of them. As for Sergey Dvortsevoy and his blind man, he illuminates the Russian way to embody what has been since Antiquity the natural hobby of sightlessness: prophecy. The night Stalin died, I was on Times Square, beside another blind man: Moondog, the musician. I couldn’t help feeling something metaphorical in this confrontation between blindness and history. There we were, like the apes at the beginning of Kubrick’s “2001”, facing an opaque, indecipherable monolith. So is the blind man in his basement, facing the enigma of an opaque, indecipherable country which he manages to graze with the help of his companion the cat, the creature who sees what even the seers don’t see. Sometimes we come to the conclusion that Mother Russia just can’t be analyzed, criticized, dismantled, explained: too complex, too brutal, too elusive, too paradoxical, too cavorting… Sometimes even, to my dismay, she can’t be loved. But still, yes, she can be sung. Through film clips, journal entries, and personal musings, ONE DAY IN THE LIFE OF ANDREI ARSENEVICH is renowned French filmmaker Chris Marker’s homage to his friend and colleague, Andrei Tarkovsky, who died in 1986. Widely regarded as one of the greatest filmmakers of the 20th century, and certainly the most important post-War Russian filmmaker, Andrei Tarkovsky has achieved a mythic status with such visionary masterpieces as Andrei Rublev, Solaris and Stalker. His stylistic idiosyncrasies: minimal plots, fragmented narrative, and long takes have become staples of the modern art film. His confrontations with the Soviet government, the censorship of his films, and his eventual exile only contributed to his mystique. Through close readings of Tarksovsky’s films – including rare scenes from his student film (an adaptation of Hemingway’s The Killers) and a practically unknown production of Boris Goudonov – Marker attempts to locate Tarkovsky in his work. Parallels drawn by Marker between Tarkovksy’s life and films offer an original insight into the reclusive director. Personal anecdotes from Tarkovsky’s writings – from his prophetic meeting with Boris Pasternak (author of Dr. Zhivago) to an encounter with the KGB on the streets of Paris (he thought they were coming to kill him) – pepper the film. 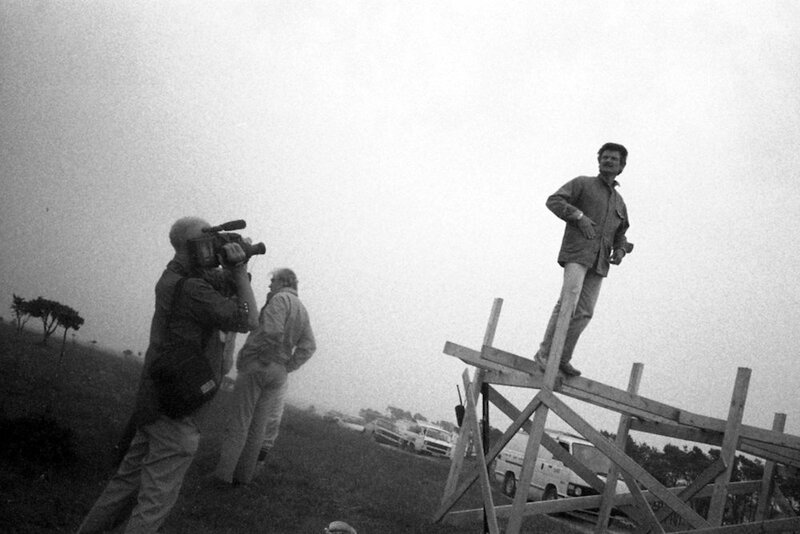 With behind-the-scenes footage of Tarkovsky obsessively commanding his entire crew (including famed Bergman cinematographer Sven Nykvist, during the filming of a complicated sequence from his final film The Sacrifice), and candid moments of Tarkovsky with his friends and family, bedridden but still working on the editing of his final film, ONE DAY IN THE LIFE OF ANDREI ARSENEVICH is a personal and loving portrait of the monumental filmmaker.